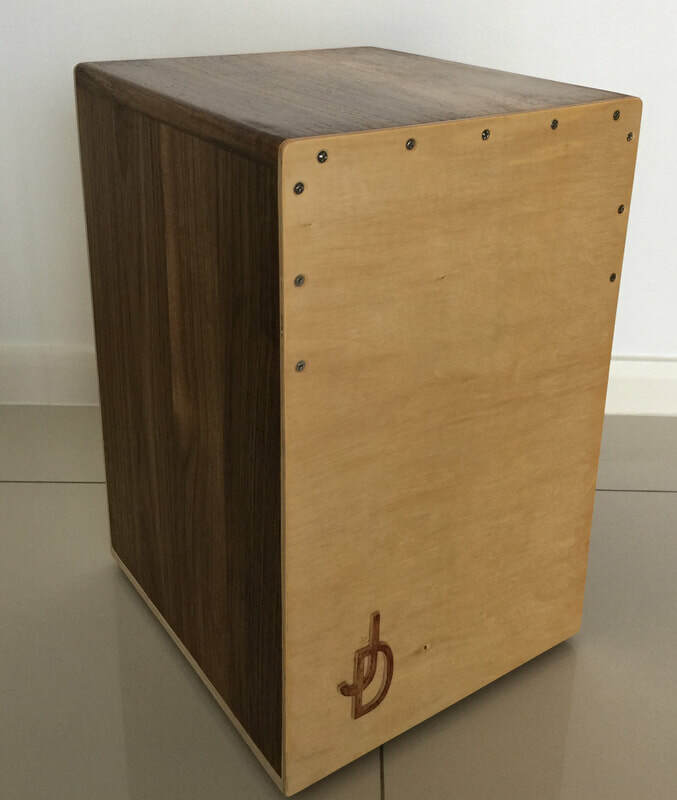 Products - Denzillion co. ltd.
As illustrated we produce custom made CAJON drums. 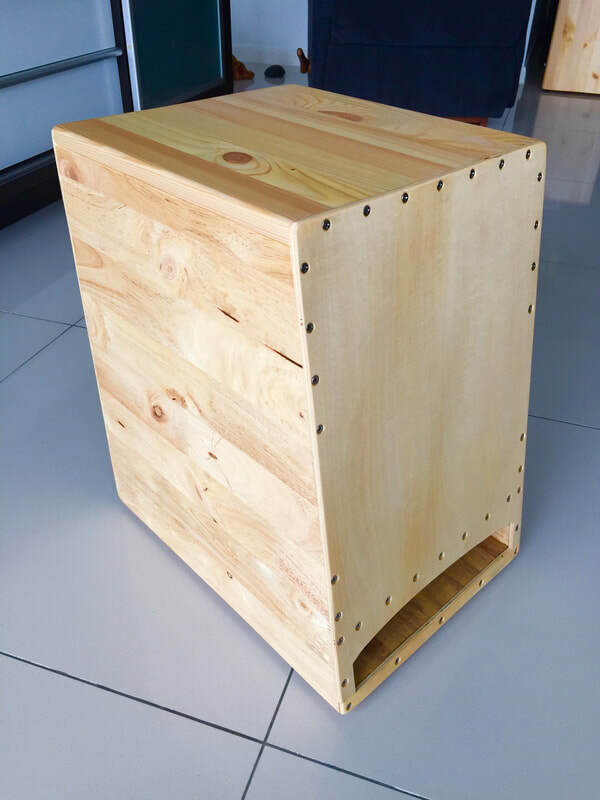 Each Cajon is individual and can be made to your specification. A range of styles, materials and accesories are available such as Rocker feet, Side or back sound apetures, Sloping front with bottom apeture, fixed or adjustable snare etc. The Cajon shown on the left has a Malaysian hardwood case with American Birchwood front tapa. 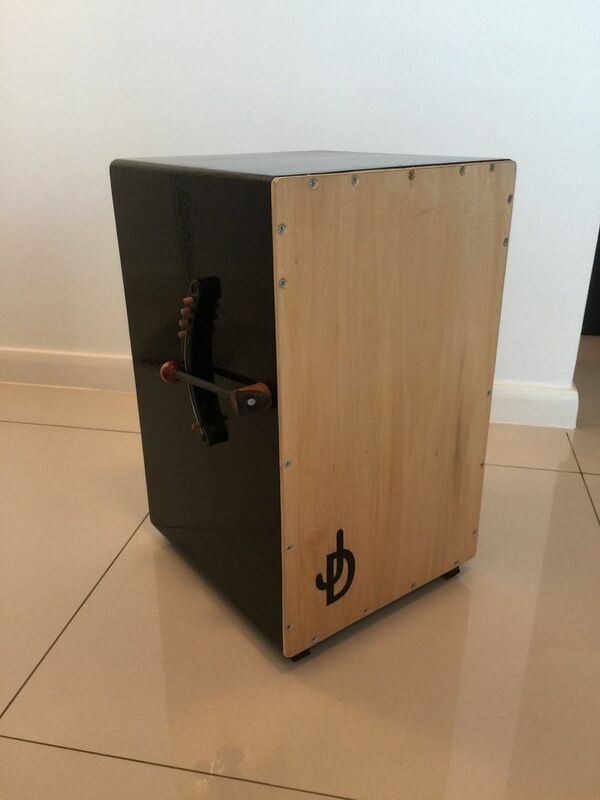 This Cajon is hardwood case, sloping front with adjustable snare and double sided tapa's. 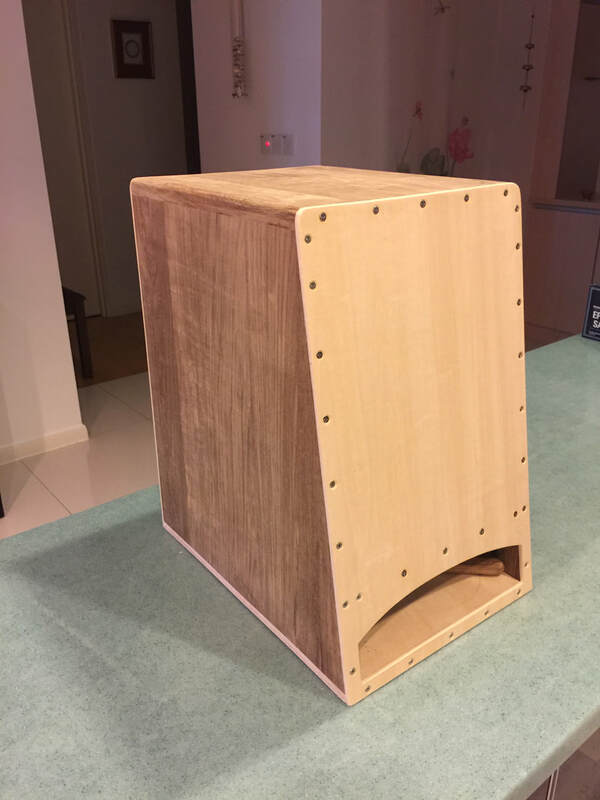 This Cajon is fitted with side controlled snare. This laminated hardwood Cajon also has sloping front, double tapa's but no snare. Very deep base tone.